Little Indiana, owned and operated by Jessica Nunemaker, is a travel and lifestyle blog devoted to uncovering places to stay, play, and eat across the state of Indiana. My close proximity to Indianapolis makes it easy to travel near and far to attend your media events, sponsored trips, and conferences. 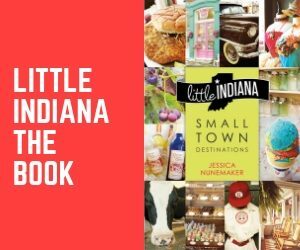 an award-winning book, “Little Indiana: Small Town Destinations” is now in its second printing and won first place in the Best of Indiana Journalism Awards by the Indiana Professional Chapter of the Society of Professional Journalists. a bi-monthly newspaper column in a northern Indiana newspaper. a website attracting hundreds of thousands of people since its inception in 2009.
possesses a consistently growing audience of Hoosiers who want to know what there is to do in their own backyards. With Americans sticking closer to home, Little Indiana helps fulfill that desire to explore as it has done for almost a decade. 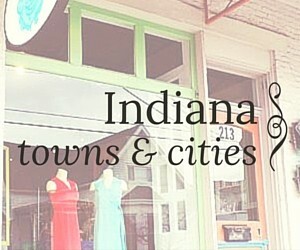 is one of the leading Indiana travel and lifestyle blogs that is more than a blog. has been featured in numerous publications including Indianapolis Monthly, Homes and Lifestyles Magazine, and town and city newspapers galore like the Lafayette Journal and Courier. has been the topic of presentations around travel or small business (or related) topics to groups that range from the Midwest Cultural Tourism Conference to Quest for Success, a regional IN-OH Tourism Conference, and groups like the Photo Venture Camera Club, Indiana’s oldest and largest photography club. travel photography and/or travel writing have appeared in publications such as Fort Wayne Magazine, Indianapolis Monthly, Visit Indiana, AAA Magazine, a Hebrew gift guide, and a Chinese newspaper. owner Jessica Nunemaker, was nominated as a torchbearer for the 2016 Bicentennial Torch Relay. Whether it is nearby or across the state, I have worked with many companies and tourism boards to promote the wonderful and exciting places right here in our Hoosier state. From festivals to grand openings to media-only events and travel destinations, I’ve done it all. Feel free to contact me with your travel ideas. 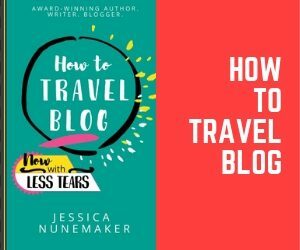 Writing or giveaways, social media or advertising, whatever sort of collaboration fits your business or tourism bureau, I am only too happy to provide. Please note that only those events and products that align with the standards of Little Indiana will be considered. For more information, please email me for availability and rates.